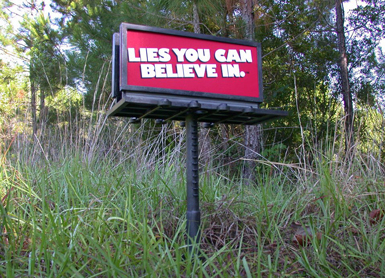 LOW-LEVEL CHATTERBOX MONUMENTAL MESSAGE BOARD (2011-2012) Sean Miller in collaboration with Shawn Wolfe [Low-Level Chatter Corps]. Interview at WARNING ART GALLERY with Sean Miller regarding Low-Level Chatter Corps. with Bronagh Lawson, Creative Change Northern, Ireland. 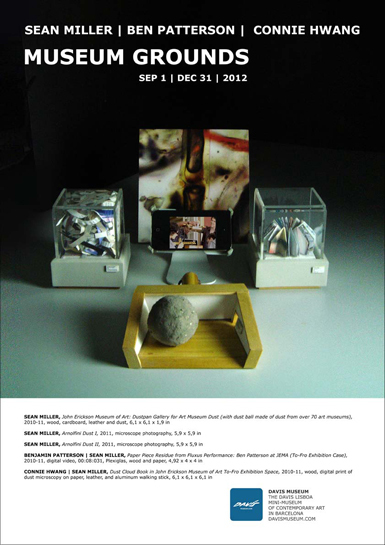 Recently the JEMA Dustpan Gallery has been included in several exhibitions including: The Arnolfini exhibition, Museum Show, Bristol, UK, Davis Museum, Museum Grounds, Barcelona, Spain, and WARNING GALLERY, WARNING This is Contemporary Art, Belfast, UK. 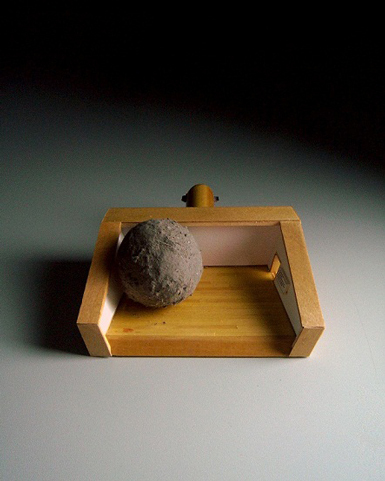 Sean Miller discusses his specially designed JEMA gallery “John Erickson Museum of Art: Dustpan Gallery for Art Museum Dust (with dust ball made of dust from over 70 art museums)”, 2010-11, wood, cardboard, leather and dust, 6,1 x 6,1 x 1,9 in. JEMA proudly announces Yoko Ono’s IMAGINE PEACE has reopened at JEMA and is on view at the Samuel P. Harn Museum of Art, in Gainesville, Florida and runs from From October 6 – January 3rd, 2009-10. 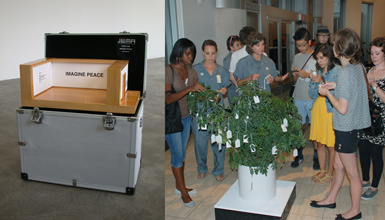 This exhibition includes her text-based work IMAGINE PEACE (2007) as well as WISH PIECE (1996). Viewers are invited to attend JEMA’s new outdoor sculpture garden and contribute to one of Yoko Ono’s Wish Trees by writing wishes on provided pieces of paper and adding them to the branches of the tree. Viewers and participants will note the tree provided for the exhibition is somewhat diminutive in keeping with the scale of JEMA’s gallery spaces. JEMA consultants from the JEMA Annex were present to distribute pencils and paper for WISH PIECE during the October 8th opening at the Harn Museum of Art. JEMA Annex Consultants included Charisse Calaquian, Leah Floyd, Ladis Pietros, Kelly Rogers, and Matthew Whitehead. View IMAGINE PEACE at the Harn [click]. In time, all wishes will be gathered by the Annex Consultants and sent to The IMAGINE PEACE TOWER on Videy Island, Reykjavik, Iceland. Previously IMAGINE PEACE opened at JEMA in Belfast, Northern Ireland in April, 2008 [click]. The exhibition traveled from Flax Arts Studios, Golden Thread Gallery, Catalyst Arts, NVTV Studios, and briefly left Belfast to open in Glasgow at the Glasgow School of the Arts. 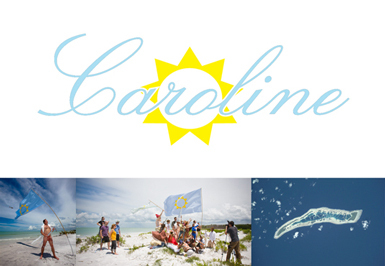 On May 21st, 2009, Gregory Green and citizens of The New Free State of Caroline gathered for a historic meeting on the beaches of Honeymoon Island, near Tampa, off the mainland coast of Florida. In preparation for his upcoming address to the United Nations, Gregory Green, Caroline’s founder, held a special conference to discuss his “attempts at creating a new nation and… the evolution of the nation-state, roles of community and connections between individuals and groups and [his]… utopian view of our potential future.” To read Gregory Green’s U.N. address and view images of the May 21st event click here. Jody Shapiro, a filmmaker and photographer, was present to film the event for a documentary being funded by the Canadian Broadcast Corporation and produced by Everyday Pictures Inc. In addition, Sean Miller, Consular General for Caroline and JEMA’s Director, opened the Caroline Consulate as a mobile meeting site for Caroline’s citizens. Green and Miller briefly toured the consulate and discussed future design and construction plans for a new series of mobile Caroline consulates. Previously, in April 2008, Green and Miller opened a Caroline Consulate in Belfast, Northern, Ireland. To view events related to the Free State of Caroline in Belfast click here. To see Green and Miller’s NVTV interview in Belfast click here. The John Erickson Museum of Art (JEMA) proudly announces the addition of the new JEMA Annex to our museum grounds. The Annex’s Grand Opening was held on Monday, March 9th, 2009, in Belfast, Northern Ireland. The Annex facility is a mobile, semi-autonomous, multi-functional, project space. It operates in a largely self-directed manner in terms of structure, mission, and events. The Annex intentionally maintains irregular hours and advocates a high staff turnover ratio. During its hours of operation, the Annex is run by varied teams of Annex Consultants. JEMA is pleased that students from the University of Ulster and artists from Flaxarts Studios, in Belfast, comprised our initial Grand Opening Annex Consultancy team. Consultants included: Stephen Brunton, Gerard Carson, Sinead Conlon, Brendan Jamison, Eleanor Phillips, Jan Prichard, Kate Rebbeck, and exhibiting artist Danny Quinn–observers include artists Shiro Masuyama, Dan Shipsides, and others. The planning, construction, and operation of JEMA’s Belfast Annex occurred in the highly efficient timeframe of 2 hours and 13 minutes. 104 viewers witnessed the event and watched Annex Consultants multi-task and perform numerous duties. Consultants held meetings, participated in studio visits, filed paperwork, counted viewers, performed curatorial duties, and exhibited art. JEMA eagerly anticipates proposing new locations and hours of operation for the Annex and to will continue to provide future Consultants with clerical supplies and institutional support. In coming months, new Consultants will be invited to construct, staff, and operate the space - thus new structures, exhibitions, and modes of operation will emerge. Kristin Lucas presents a series of free public forum events and interactive gallery talks at JEMA. Join us, as JEMA’s gallery becomes a hub, for a series of lively public discussions to investigate and better understand the Outside. Those attending Lucas’s gallery talks will be eligible to join a Search Party in Weimar in an attempt to discover the Outside. JEMA’s architectural form compliments the function of Search Party by providing a common mobile meeting place for participants. 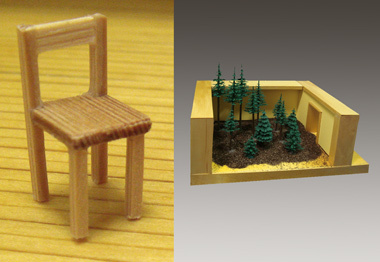 Kristin Lucas’s Gallery Talks and Search Party membership are free. Catering provided by JEMA Cafe. 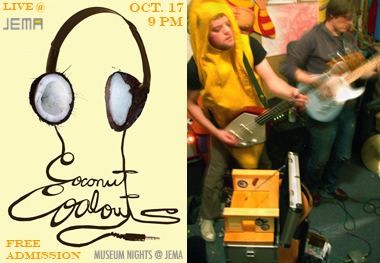 On October 17th, at 9pm, the John Erickson Museum of Art presents the second installment of its Museum Nights program with an amazing set by the Seattle band, Coconut Coolouts. Join us for an evening readymade listening as a banana helps unleash "Party Jail" and much more. The Coconuts bring their authentic cool taste to the JEMA galleries on Tuesday, October 17th. Concert is free. $2 drink special. Cash bar available with ID. 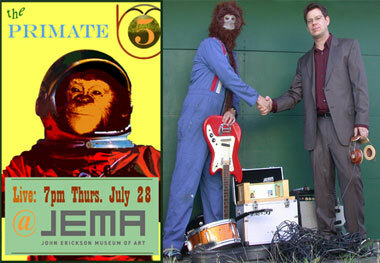 On July 28th the John Erickson Museum of Art proudly kicked off its new Museum Nights program with a smashing and splintering Thursday night performance-recording-session-pirate-radio-broadcast by the band Primate 5. P5 kick off Museum Nights, Lo-Fi Bri Wallace (left) and JEMA's Sean Miller. 7 p.m.  9:30 p.m. This Seattle musical treasure is one of the city's most primal groups. $2 drink special. Cash bar available with ID. Concert and pirate radio broadcast is free.